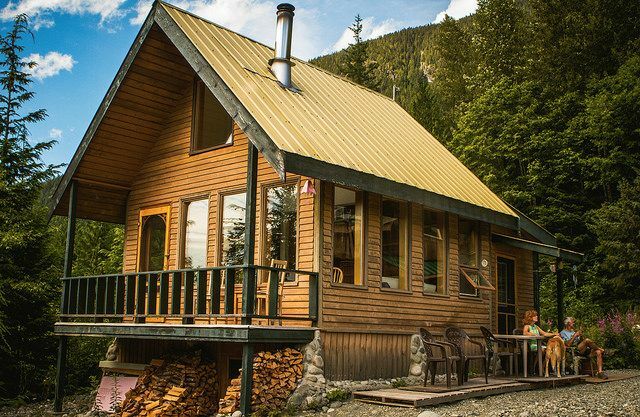 Ditch the 9-5, your commute, the hustle and bustle, as well as the stress – and head out to this stunning cabin tucked away in the woods of British Columbia. All you're going to need is some comfy clothes, your hiking boots, and a couple good books, because this cabin has the rest. 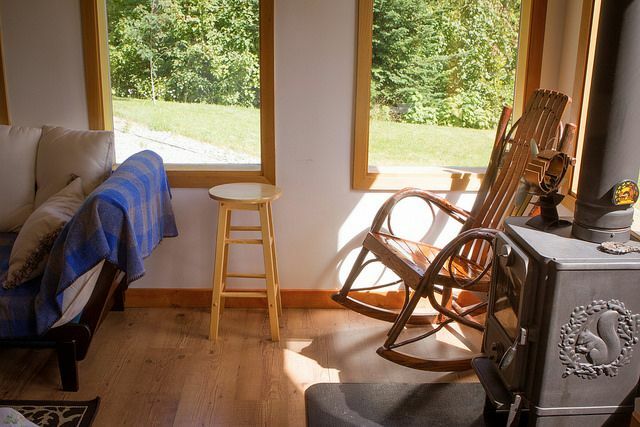 With not one but two beautiful porches, a wonderfully renovated kitchen, and a wood burning stove, this cabin is the secluded oasis you've been dreaming about. Best yet, it's for rent. 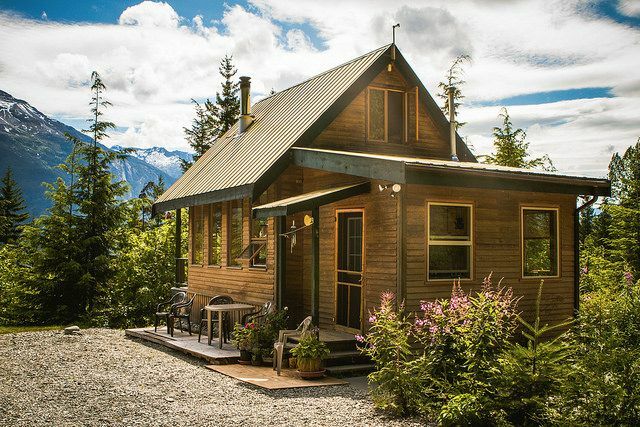 So no need to dream about owning your own cabin in the woods - rent the Bella Coola Health Resort cabin instead. 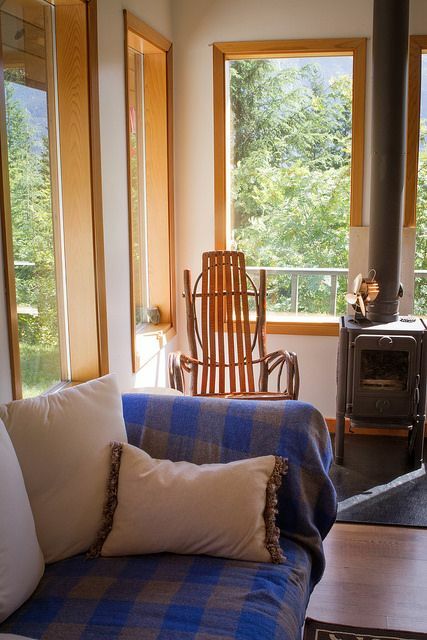 Take the tour, fall in love, and possibly book a stay after checking out this Canadian Cabin. This cozy cabin fits right into its surroundings. The tall roof peaks like the mountains surrounding it, and the wood exterior is rustic and charming like the woods just past the porch. 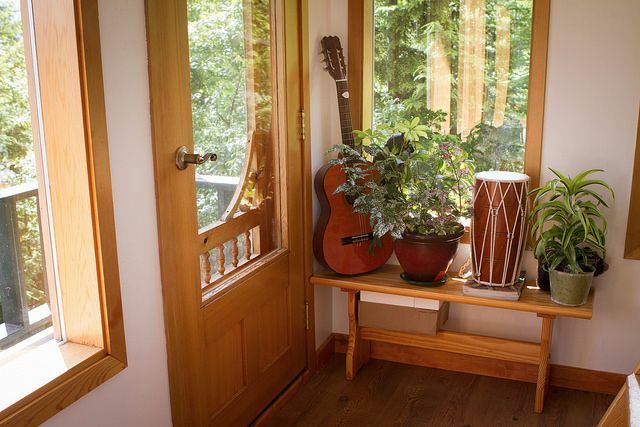 While we tend to focus on the beautiful interiors of these homes - what really brings people here is the great outdoors. 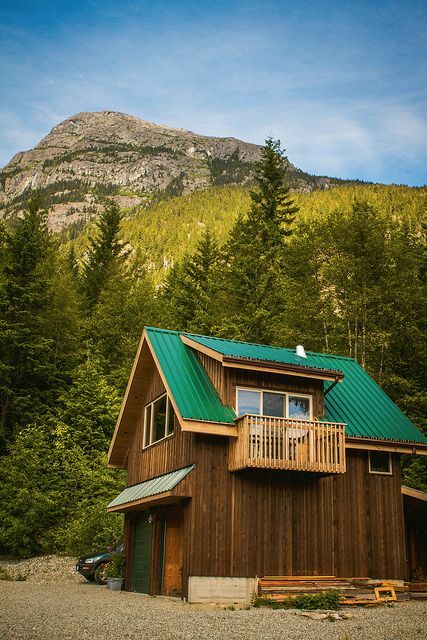 This cabin takes full advantage of its surroundings with not one, but two porches for soaking in those views. The living area is cozy, but bright and open. The warm wood tones make you feel relaxed, and the crisp white walls bring a modern clean feeling to the space. Plus, that couch is the perfect place to curl up with a magazine and so you can stay toasty warm by that wood burning fireplace. It's all in the details. We love this little bench, covered with houseplants that are there to add even more to the pure air you're already getting from the great outdoors. The kitchen is bright, and spacious, and modern with a classic rustic twist. 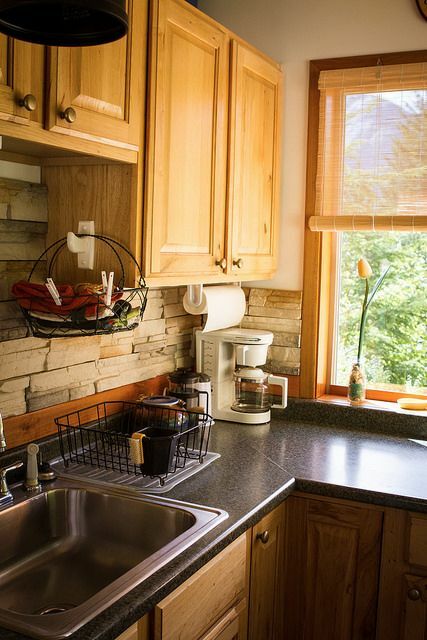 We love the stacked stone backsplash and how it contrasts against those dark countertops. 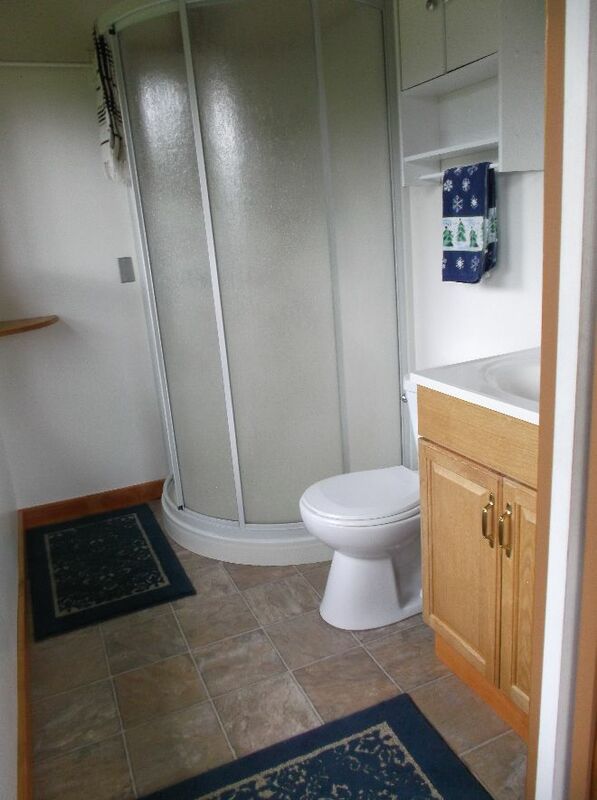 The bathroom is standard, but it's also clean and spacious. Imagine waking up to that view every day! 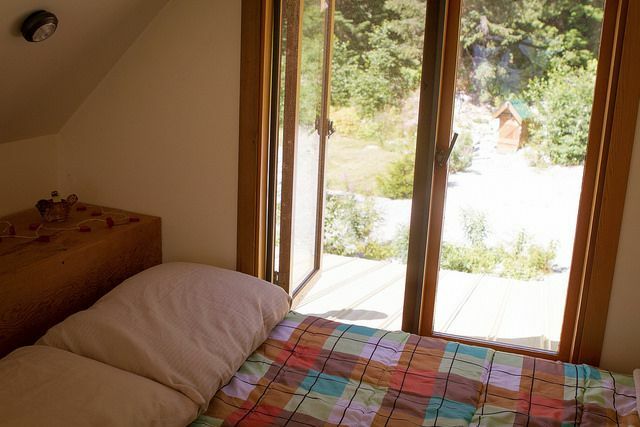 This bedroom is tucked upstairs where the roof is peaked, and the view is sweeping. This here is a second cabin located on the property. While the owners live and work here, they do rent out loft space up above where it looks like there's a private balcony. The loft is open and spacious, and you're not confined by the A-frame ceiling. 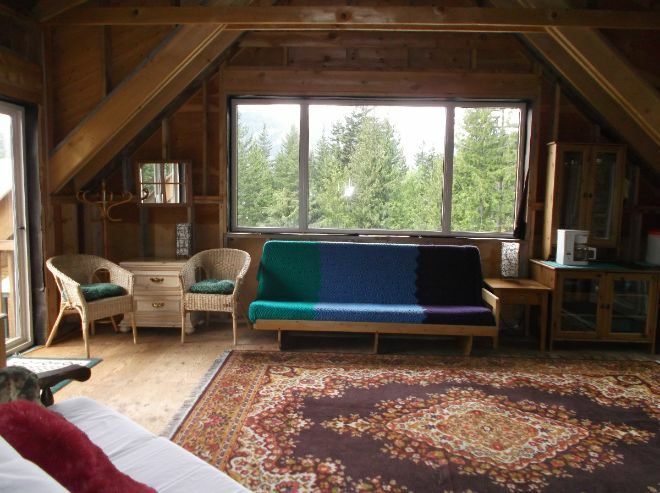 We love the big grand windows that make you feel like you're up in the treetops too. 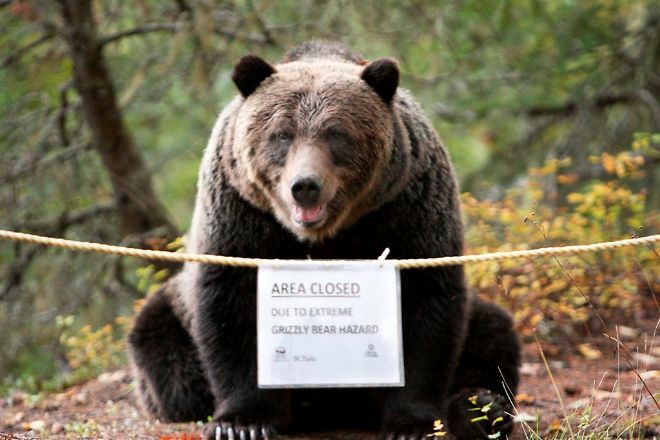 The only thing to worry about with this property are the nearby bears – but maybe you'd be lucky enough to see one in the distance from one of the many balconies, or porches on these properties. 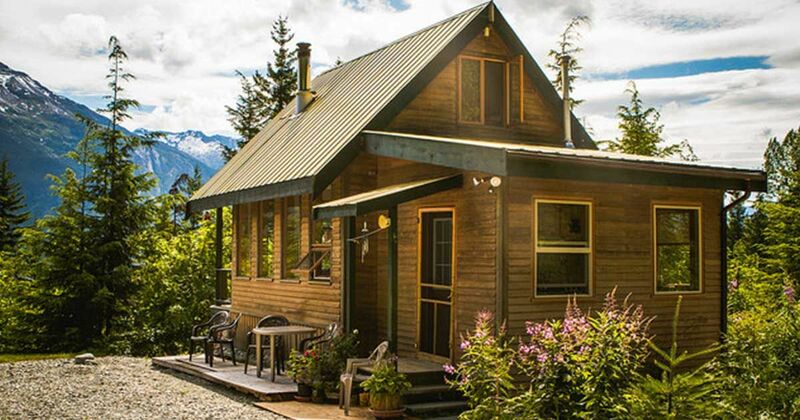 SHARE these beautiful cabins with your friends on Facebook, Twitter, and Pinterest. This generously-sized cabin has an attractive rustic exterior which will look perfect in any location.